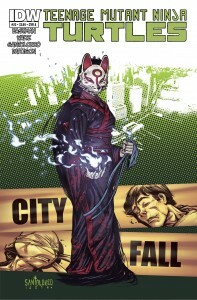 “CITY FALL” part 2: Desperate times call for desperate measures as unexpected alliances take shape. 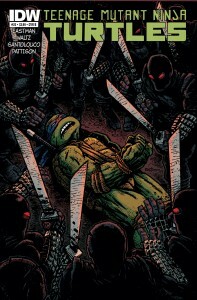 Will the Turtles be able to find the Foot Clan’s HQ in time to stop the next phase of Shredder’s heinous plan? 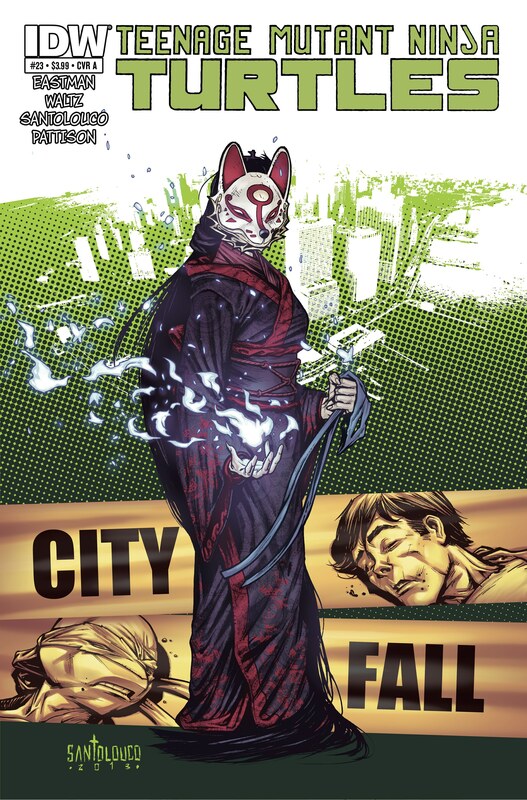 Plus, the return of the witch Kitsune! What ancient evil will she unleash? One Turtle is about to find out! 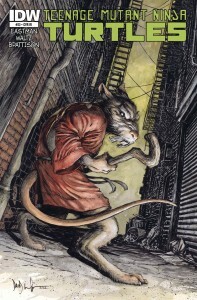 Variant Covers: Dave Wachter variant cover! 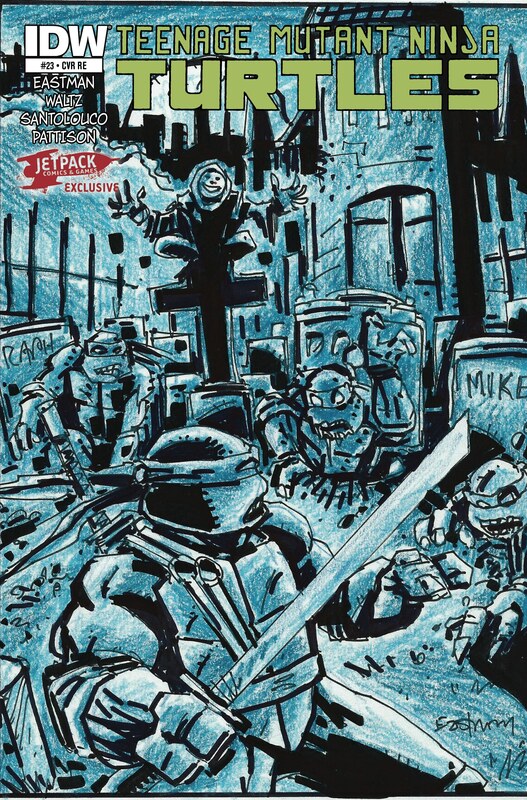 The biggest TMNT story yet kicks into high gear! 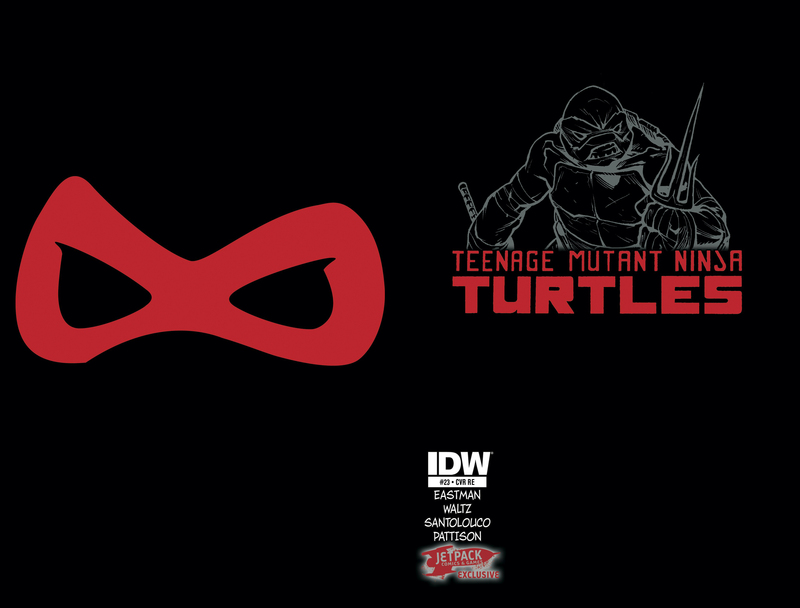 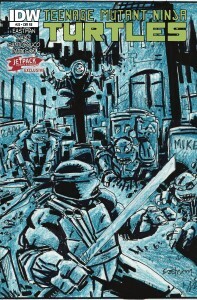 All the best IDW TMNT artistic talent returns for this memorable, mind-bending issue!